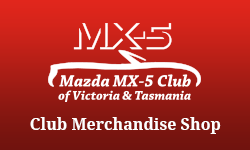 You’ve bought the car, you’ve joined the Club … now you can buy your Mazda MX-5 Club of Victoria & Tasmania merchandise online. This range includes clothing and accessories. All are branded with the Club’s logo. You can pay online with your Credit / Debit card or by cheque and have purchases delivered direct to you. This range includes clothing and accessories from the same Mazda Australia range that is available to Mazda dealers. 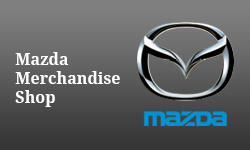 Mazda items are all branded with the Mazda logo, and some also have the Club’s logo. You can pay online (Visa, MasterCard, Amex, Diners or PayPal) and have your purchases delivered direct to you. Current financial Club members may purchase automotive parts and accessories at trade prices from Burson Auto Parts stores. Burson Auto Parts have generously extended their Club discount offer to all financial MX-5 Club members around Australia. Simply ask for your discount when you purchase, and present your current membership card. Quote account number 112558. Burson Auto Parts have more than 100 outlets on the east coast, offering a complete range of tools, spare parts and car care products. Check out the range at www.burson.com.au. The Club has signed up as a member of the Repco VIP Club, which all financial MX-5 Club members are qualified to join. 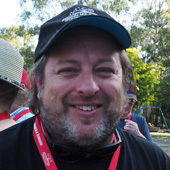 To join, simply click on this url http://vip.repco.com.au/registration/register/1160 and then enter your details. You’ll receive a temporary “VIP” card via e-mail, with a plastic barcoded card and key tag following within 14 days. You’re guaranteed of 10% off full retail at any time, and further offers of up to 30% off full retail at various times throughout the year. Repco will e-mail you with online catalogues, and advance advice of special VIP offers. 12.5% off all products, excluding already-discounted kits and the following brands/products: Polishangel, Vikan, Flex and Concours 900 Polisher. Check out the Waxit range and order on line at www.waxit.com.au. Our Club coupon code is mx5club. Please add your Club membership number to the “comments” section of your order.